I had a new look at an old hash plate from the Finis Shale member of the Graham Formation in jack County Texas. 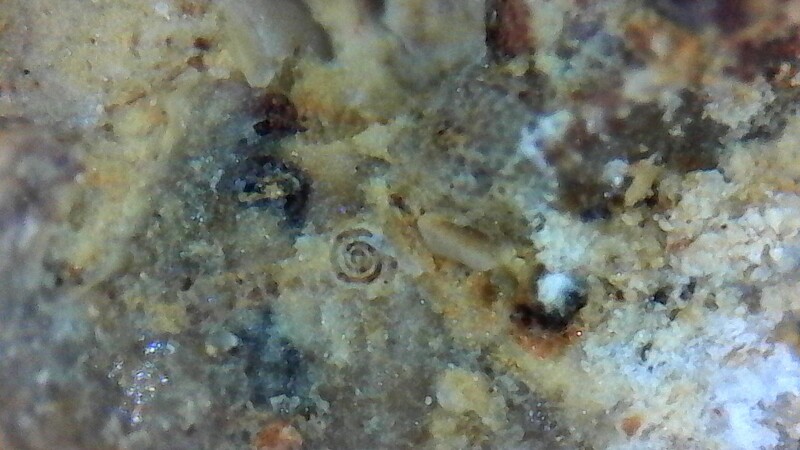 It's full of all the Pennsylvanian Sub-period fossils I expected, even a couple of broken trilobite pieces, but this spiral shape caught my eye as I was passing it under a microscope. That's a mm scale in one picture and a human hair in the other. 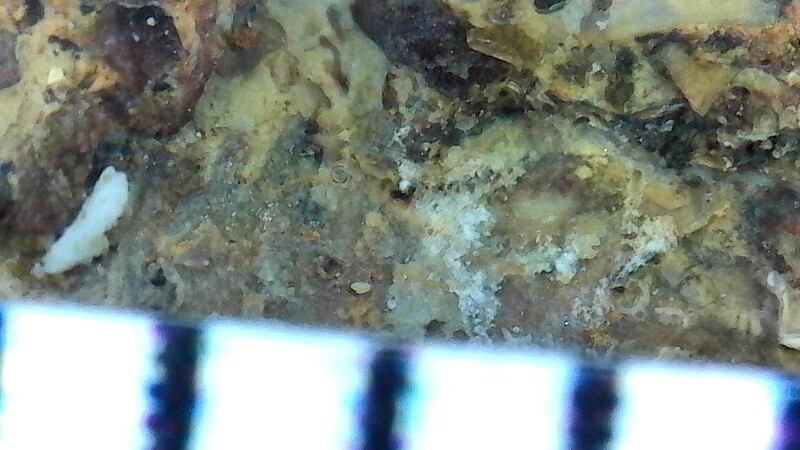 I don't know my micro fossils but I'm guessing it's some kind of foram. Any help with a name? Okay, as long as they can be in the range of around 100 microns. 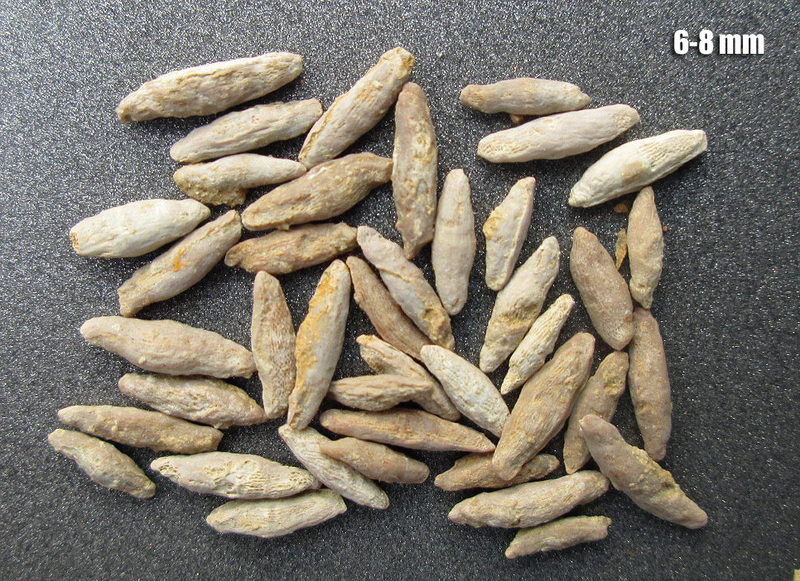 Can you see any rice-grain shaped fusilinids in the rock? Maybe it is a cross section of one of a small/ baby one. 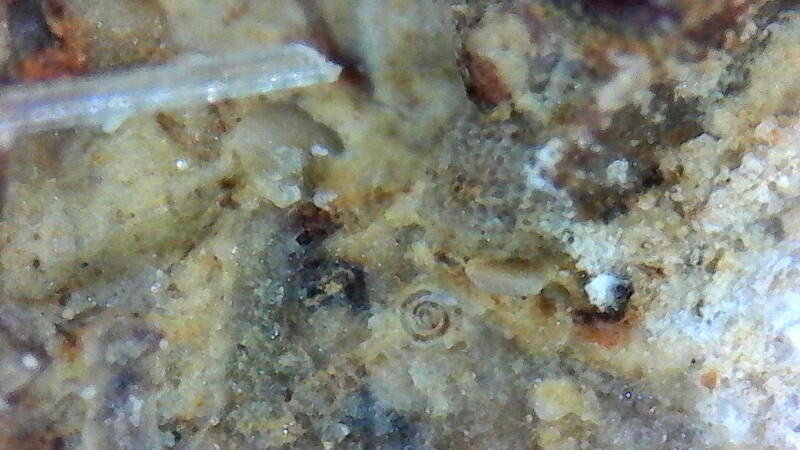 I recall that Pennsylvanian fusilinids are common in similar aged rocks in Central Texas near Lake Brownwood. 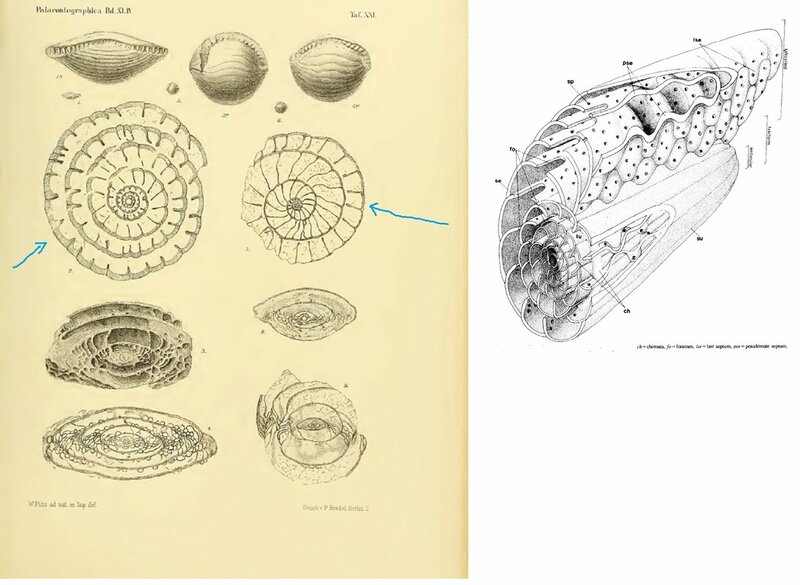 It could be a smaller foram like Ammodiscus. I’d sat definitely a foram. No, they had yet to evolve. 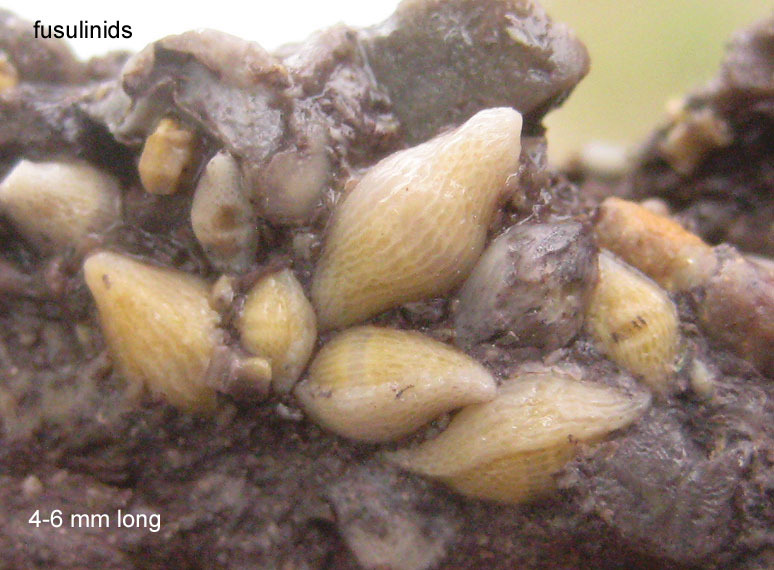 They evolved in the miocene, microconchs were thought to be Spirorbis until recently. I can't find any in this plate but they are common at the site. Dr. Ben Neuman from A&M Texarkana sent this image but I don't know the size. Your specimen seems to be without septa,and it doesn't look moravaminnid,parathuramminoid,or earlandoid. 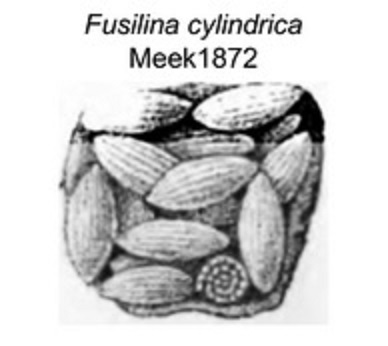 Fusilina cylindrica or Fusulina cylindrica ?